Radiator Springs Racers — three simple words, one incredible attraction! This brand new attraction in Cars Land at Disney’s California Adventure park is the hottest thing since sliced bread! Jump in a car and see who is going to win the big race! 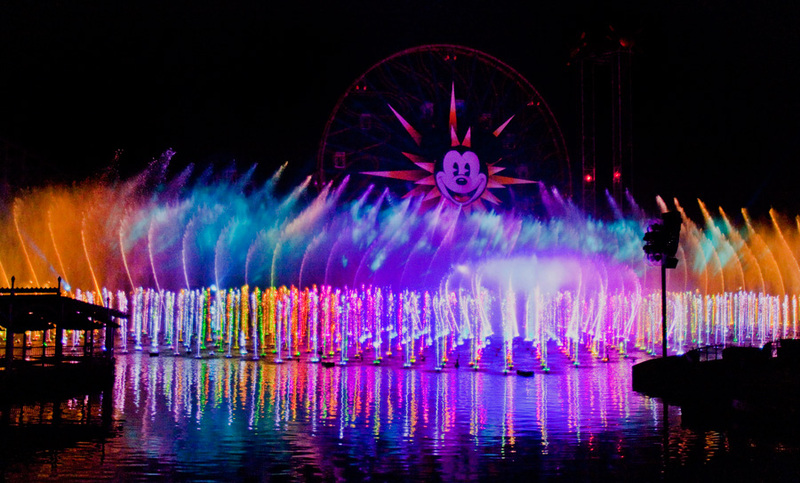 This is our selection for Day 5 in our countdown to Disneyland! However, Radiator Springs Racers isn’t just about racing! Before you even get to the great conclusion with the race, you’ll learn more about the town itself, with looks of Stanley’s Oasis, Ornament Valley, and Radiator Springs. Don’t forget your camera! You’ll surely want it to take pictures of the Radiator Falls waterfall! I don’t know about you, but Radiator Springs Racers has been on my radar to experience for a long time, and I can’t wait to try this attraction out multiple times. What is your favorite part about Radiator Springs Racers? Why not leave a comment and let me know, and thanks! The Radiator Springs Curios is a gift shop located in Cars Land at Disney’s California Adventure, and is our selection for Day 15 in our countdown to Disneyland series!. As you all know, the store is owned by Lizzie in the movie Cars, and is a great little curio store — both in the movie and in real life! This may be a place to get some great souvenirs, so we’ll be taking a look at it! Have you ever bought anything at Radiator Springs Curios? If so, let me know, and let me know also what you thought of the pricing! Thanks for stopping by, and have a Disney Day! At day 18 in our countdown to Disneyland, today we are taking a look at perhaps one of the biggest series of attractions that Disney has ever added to one of it’s parks: Cars Land! Located at Disney’s California Adventure park, Cars Land is totally based on the majestic scenery of the hit movie Cars, which my daughter Sophie reviewed for me back on July 31st, 2011. 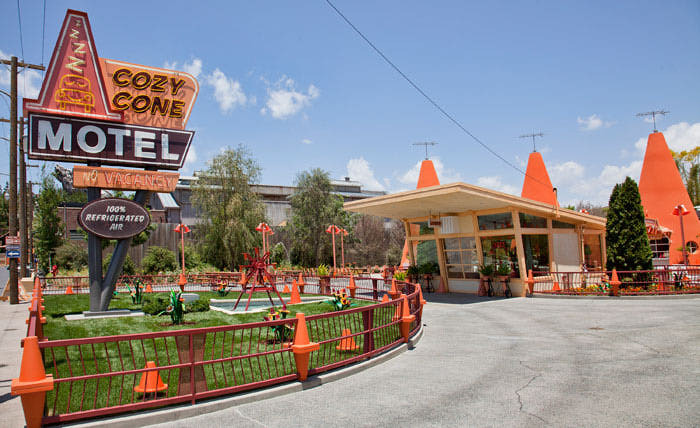 I am extremely excited to see all that Cars Land has to offer. Places like Fillmore’s, Sarge’s, the Cozy Cone Motel, Flo’s V8 Cafe, Radiator Springs Curios, and Ramone’s offer food or souvenirs, but it still excites me to see how all of these have been inspired by the movie Cars, and to experience all of this. To me, it just feels like this new land has so much more to experience then you find in other lands. Maybe it’s just me, but that’s how it feels. Tell me please, if you’ve seen it, what do you think of it? Let me know in the comments, and thanks!